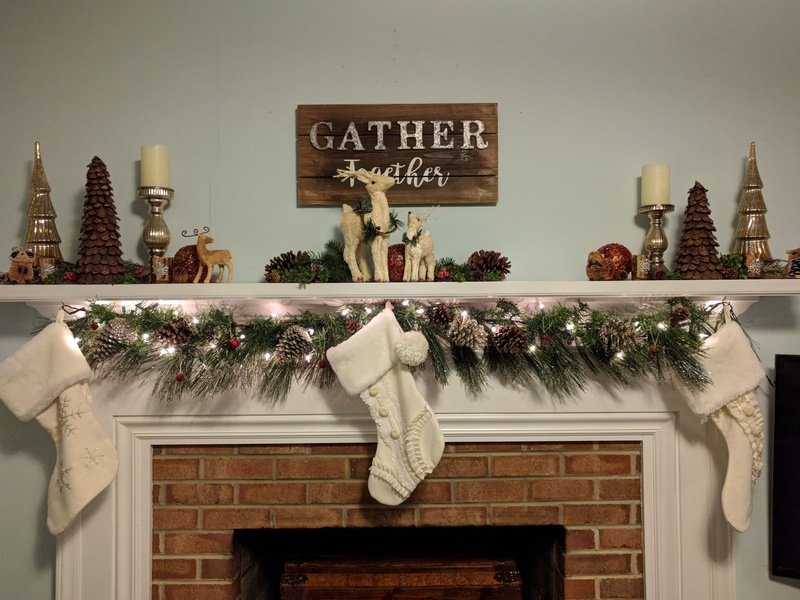 It's a Horvath's Life: 2018 Christmas Home Tour! Season's Greetings Friends! It's good to be back here on the blog. I think of you often, and I miss hanging out here, but of course there isn't time for all the wonderful things I want to do. 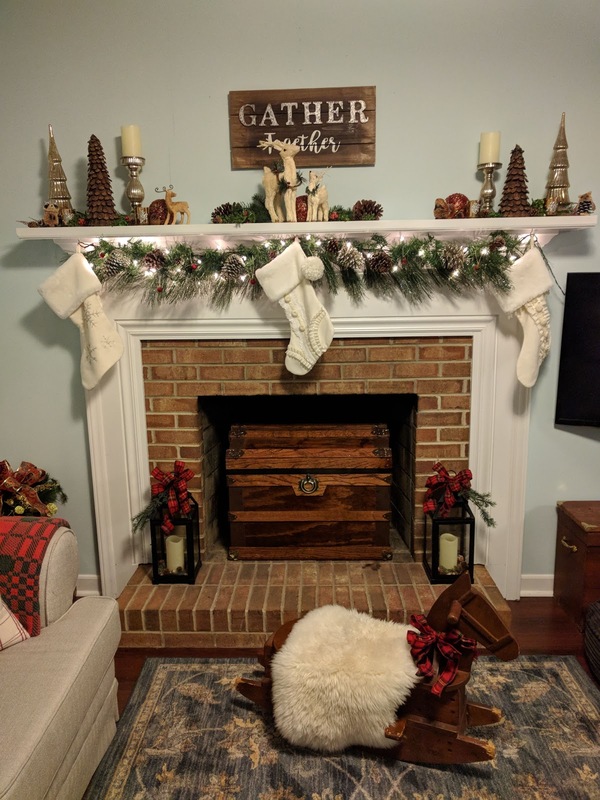 Hopefully I'll be around some more in the New Year, but for now, here is a little tour of my Christmas decor. :) Enjoy! I finally got the vintage sled I've been looking for. And instead of putting it on the porch, where I'd never see it, I put it in the corner of the living room to enjoy every day! My tree is decorated with lots of pom poms and unbreakables, since Georgia's favorite thing is to redecorate it. I even added a bit of Christmas fun in our master bedroom. It makes me happy every time I see it. The playroom has some fun tinsel and colorful ornaments and a little flocked tree for Georgia! The chalkboard got a Christmas phrase and some snowflakes. I love it so much! 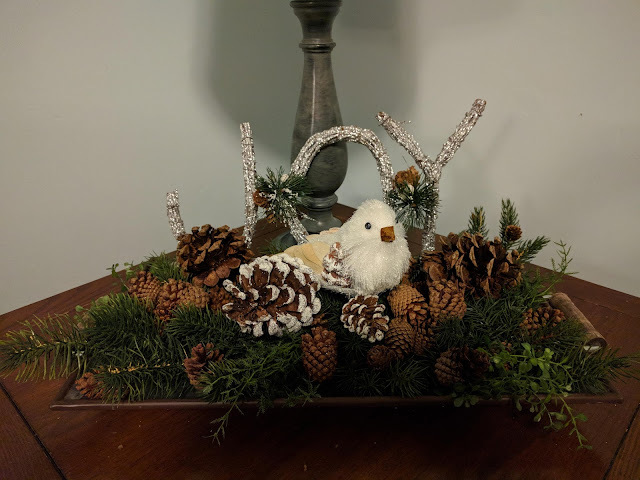 I made a little arrangement on the side table in the den with this cute galvanized tray I got at Walmart and some cinnamon pine cones. They smell amazing! 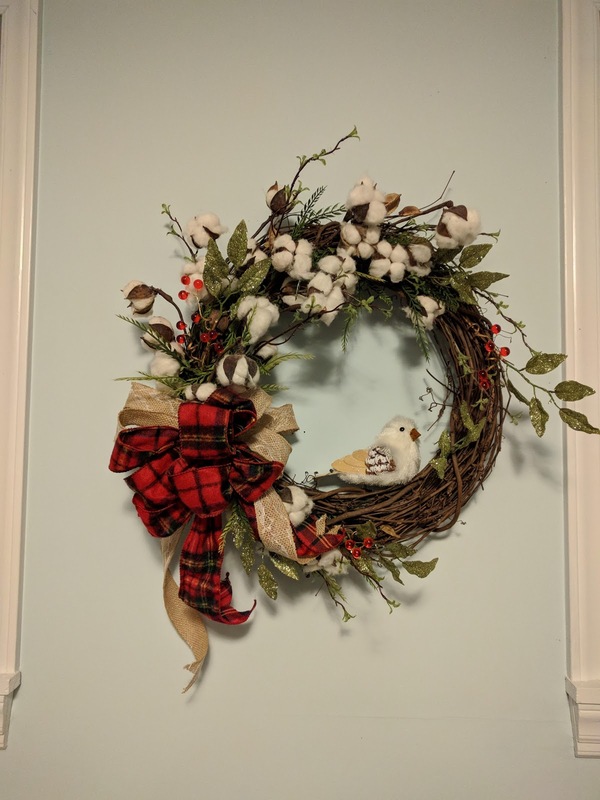 I spruced up my cotton wreath with some berry garland and a bow! The mantel is a woodland theme this year with my straw deer and bottle brush animal ornaments. Georgia helped me set up the camera for these night shots. They are my favorite. Hope you are finding lots of time to spend with your loved ones, cuddling up and watching a Christmas movie or wrapping gifts together and drinking hot cocoa. It's the most wonderful time of the year! 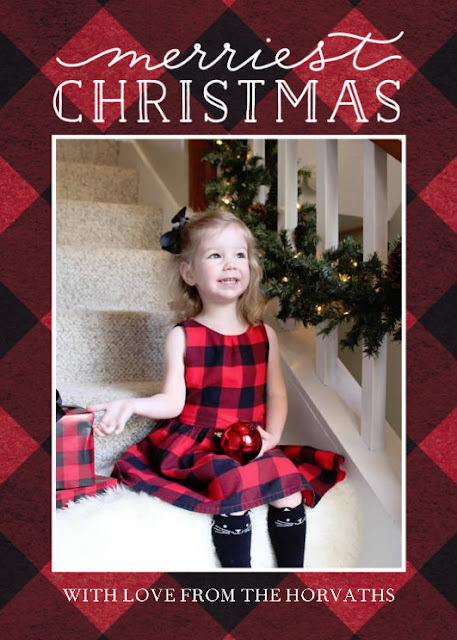 To see all our past Christmas decor, just click on the Christmas link!